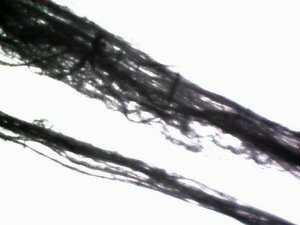 An environmental source, at least in part, for specific biological organisms that are under scrutiny in association with the so-called “Morgellons” condition, has been identified. This source is the unusual airborne filament sample that was sent in June of 2000 to the Administrator of the United States Environmental Protection Agency (EPA) for identification on behalf of the public welfare. The United States EPA refused to acknowledge the existence of the sample for a period of one and one-half years, and subsequently returned the sample without identification after a Freedom of Information Act request for accounting was submitted by a third party. 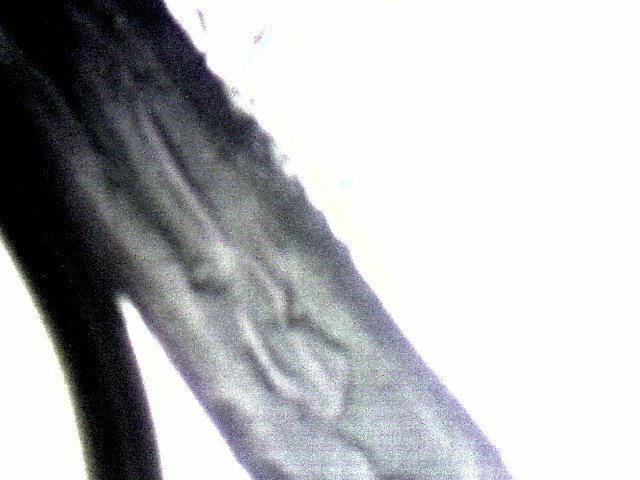 This particular and same sample that was sent to the EPA has been successfully cultured and reproduced, and the culture growth exhibits the identical biological organisms, structure and chemistry of certain biological filaments that are under extensive study in association with the Morgellons condition. The sample has been held in custody for more than ten years to await opportunities for proper identification. This particular form of material has been observed, gathered, reported and documented on numerous occasions by independent citizens during the last decade. The filament samples have been considered by many to be a potential health hazard due to the sustained lack of proper identification and the airborne nature. Previous documentation of the events surrounding the original requests for identification are available through this site. An incomplete (or false) report by a private laboratory, at cost, was received shortly after the EPA refusal of identification. 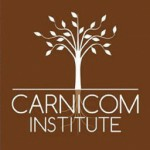 A meeting held to confront and dispute the findings of the private laboratory was abruptly canceled while in process when evidence was presented that contradicted the report using numerous independent methods of observation and analyses. No further progress in formal analytical or biological identification has been made since that time. The method of culturing is identical to that which has been developed for certain dental filament samples, and it involves the application of an alkali in solution to the filaments, heat, and subsequently an introduction into a wine medium for growth. The culture has taken approximately four to six weeks to develop. This method has been briefly described on numerous occasions with respect to the dental sample analyses, and it will not be repeated here. The specific cultured structures that have been identified are the chlamydia-like organism, the mycoplasma-like organism (pleomorphic), and the encasing filament structure. The erthyrocytic form within the EPA culture has not been identified at this time. The recent set represents three out of four primary forms that continue to be under examination from a multitude of analyses viewpoints. Erythrocytic forms were identified by an independent medical professional in the original sample that was submitted to the EPA, and that has been reported on in detail within this site during the early part of this decade. An example of more mature development within the culture medium. Comprised of an encasing filament and internal structures of both chlamydia-like (red arrows) and the pleomorphic (ribbon-like) forms. Magnification approx. 10,000x. 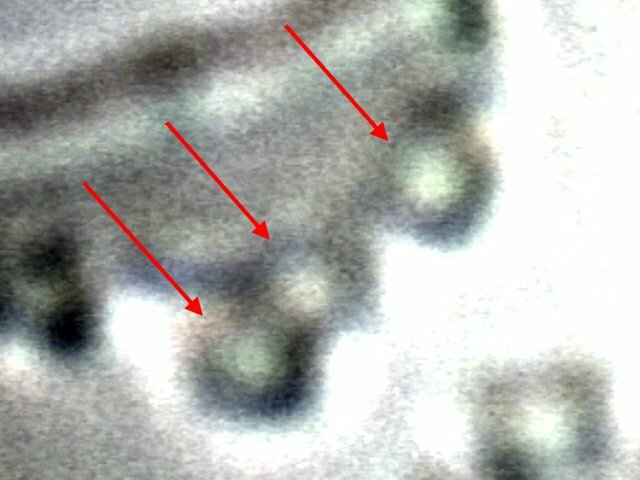 A digital close-up of the chlamydia-like organisms (red arrows) that have developed in solution from the cultured EPA filament sample. Magnification approx 30,000x. 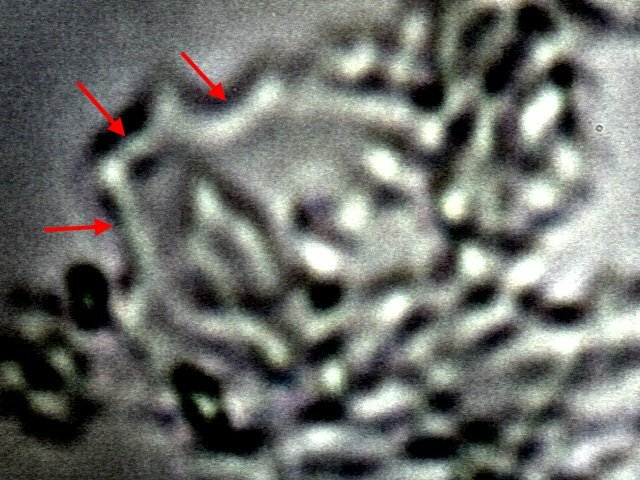 What appears to be an example of the pleomorphic structure (red arrows) that is under examination in addition to the chlamydia-like organism. These two forms appear first in growth at the bottom of the petri dish. They slowly coalesce into linear formations that eventually form as separating filaments in solution. Magnification approx. 10,000x. An example of the encasing filament structure with little internal detail at this particular location. The general process of culturing is to subject the EPA filament to an alkali solution (sodium hydroxide) and then heat the solution to the boiling point. Temperature is maintained at this level just beneath boiling for several minutes. The resulting solution and remaining filaments are placed into the wine medium for examination within a petri dish. The process of culturing here has taken approximately 6 to 8 weeks to reach the stages shown. Magnification approx. 10,000x. 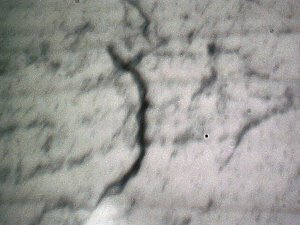 A photograph of an emerging filament and surrounding early growth within the wine culture medium. This culture process has taken approximately 4-6 weeks to reach this stage of development. The chlamydia-like and pleomorphic structures develop at the bottom of the petri dish and slowly continue to develop until they reach a filamentous form which eventually separates from the bottom of the petri dish. 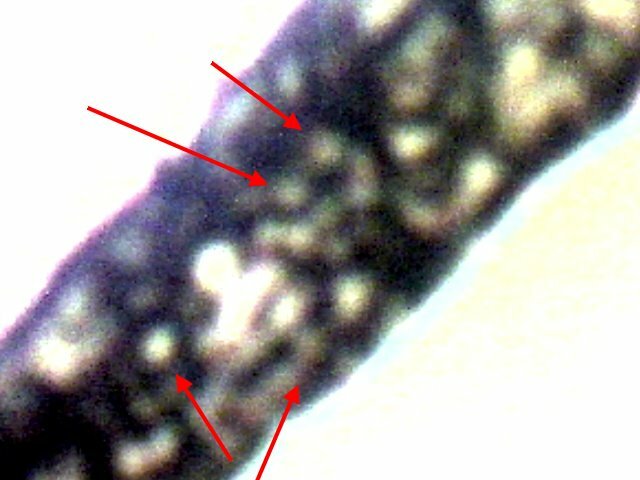 Magnification approx 300x. To be continued. 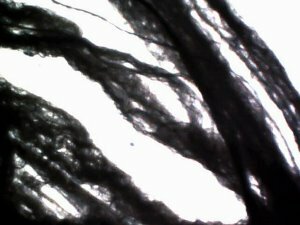 The photographs within this are taken while the filaments remain in solution. An emerging filament structure and surrounding earlier growth stages. Magnification approx. 300x. The original EPA fibrous sample material, as sent to the EPA in 2000. 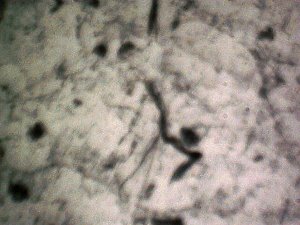 What might be viewed as a single filament in this photograph at low magnification is actually comprised of hundreds to thousands of sub-micron fibers. Please refer to early reports on this site for the original studies on the EPA filament samples. Magnification approx. 300x. A larger segment of the original EPA filament sample as sent to the EPA in the year 2000. Magnification approx. 300x.